« “What Does This Button Do?” – Bruce Dickinson’s memoirs to be published Oct 19th! 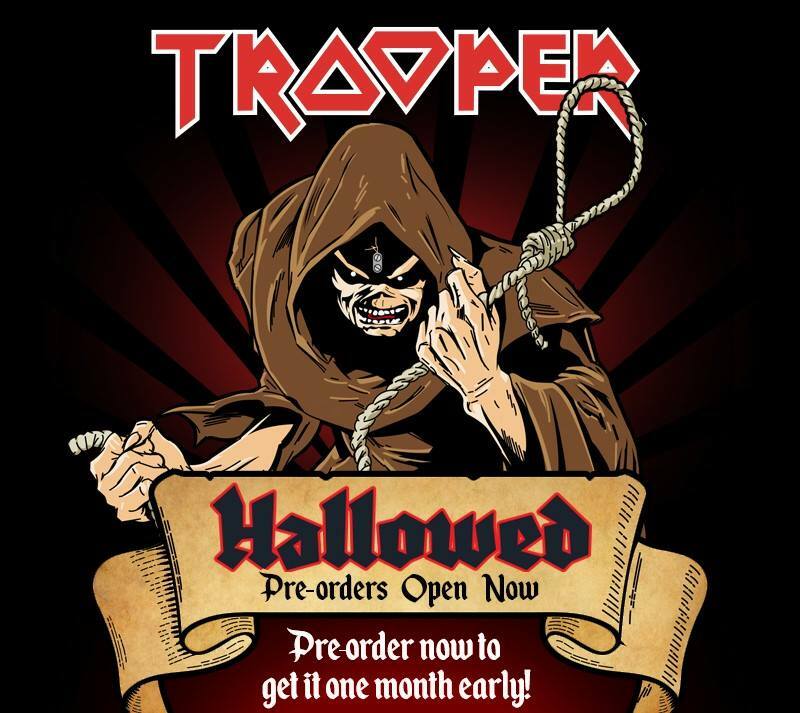 IRON MAIDEN – “Hallowed” Trooper Belgian Style Beer Pre-Orders Available Now! IRON MAIDEN has another one of their tasty beverages available for pre-order for your thirsty palette! Click on the links below! Whoa! Who’s looking forward to trying the new ‘Hallowed’ #TrooperBeer? This entry was posted on August 7, 2017 at 8:00 am and is filed under beer, classic rock, Hard Rock, Heavy Metal, Music, news, rock music, world news with tags beer, craft beer, Iron Maiden, metal odyssey, rock music news. You can follow any responses to this entry through the RSS 2.0 feed. You can leave a response, or trackback from your own site. Mmmmm gotta get me one of these! Thanks for the heads-up!